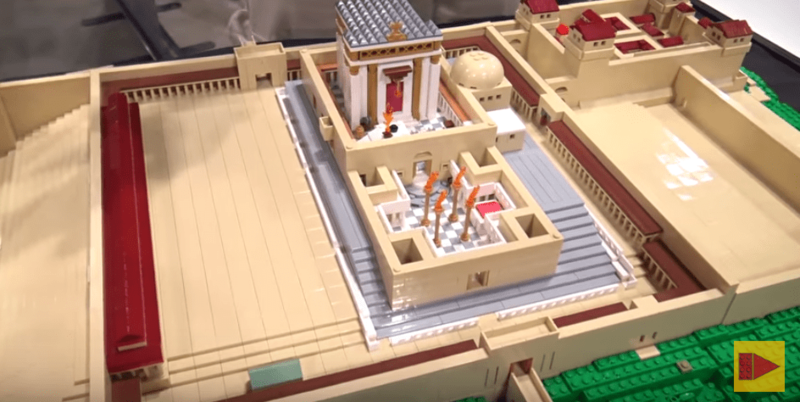 WATCH: You’ve Never Seen the Temple Like This Before - Breaking Israel News | Latest News. Biblical Perspective. 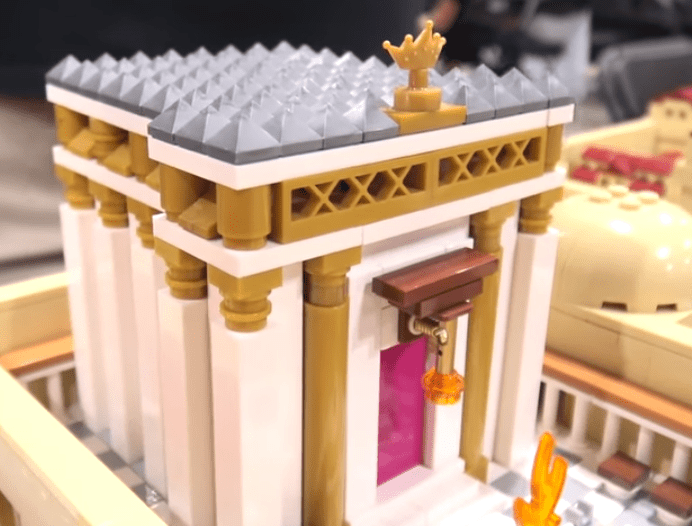 At Brickworld Chicago 2017 this summer, one magnificent custom creation couldn’t help but attract attention: an incredibly detailed, scale model of the Second Temple, built entirely from LEGO pieces by Jewish Expert LEGO builder Yitzy Kasowitz. 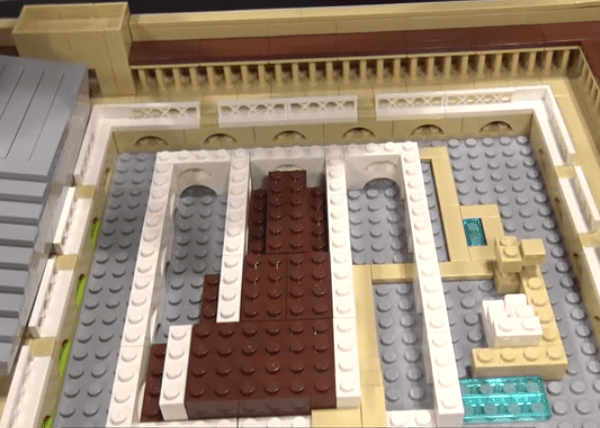 Kasowitz, who owns Jbrick, a company which sells custom Jewish-themed LEGO kits, has spent two and a half years doing the research necessary to build the temple as accurately as possible, he told an interviewer on the floor of the annual LEGO convention in Chicago this summer. He scoured Jewish sources to make his temple a truly authentic recreation. 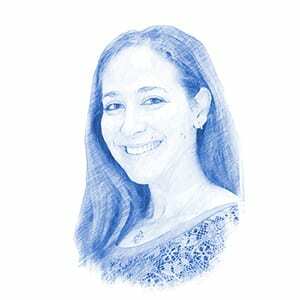 “I used the Talmud, the Mishnah, Maimonides, Josephus, other experts that I could contact, and I went through all the details over and over and over. I built and rebuild this many times,” he said, citing major Jewish texts, scholars and historians. He even built the intricate structure to scale – about 1:600 – with cubits, the obscure Biblical measurement used to describe the original building of the Temple. “There’s a lot of history and I wanted it to be accurate and not get it wrong,” Kasowitz said, adding that the research process is ongoing and that he is open to hearing others’ opinions. However, it would be difficult to find fault with Kasowitz’s model, which comes apart to reveal the many layers of the Temple, including a mountainous base touching the Foundation Stone, courtyards and courtrooms, basements, storage rooms and purification areas, and even a tiny “lost” Ark. The Temple level lifts off to reveal the original excavations done by the builders of the Temples, who hollowed out Mt. Moriah, where the Temple Mount is located, and built arches and vaults to raise up a level floor. His guess might not be far off. Ark experts say that the Ark is likely still buried under the Temple Mount to this day, but because of political obstacles regarding the Mount and the complications of excavating beneath it, the Ark has never been found. On the next level, directly below the Temple, Kasowitz pointed out where the Foundation Stone, currently under the Dome of the Rock, peeked up from beneath the floor to touch the altar and the Holy of Holies as mandated in the Bible. He even included the tunnel used by the Levites to reach the mikveh, or ritual purification bath. On the top level is located the 500-by-500 cubit area on the Temple Mount where the main courtyards and Temple stood. Kasowitz also included two courtrooms where sat the Sanhedrin, a religious judicial body made up of 71 learned judges. Surrounding the Temple Mount, Kasowitz built up the Kidron Valley and the Mount of Olives, even adding in the Tomb of Absalom. 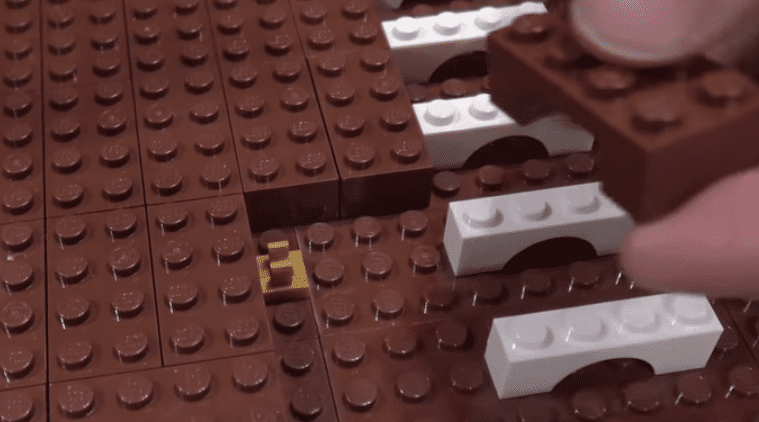 Asked if he had plans to expand his structure and possibly build more of ancient Jerusalem in LEGO, Kasowitz said it was possible. His first priority is making the Temple into a kit for purchase, he said, as he had already received a large number of requests. He noted that the model has great educational as well as entertainment value. “This was a great learning tool for me, and I know schools and camps and private people, Jewish, non-Jewish, religious, non-religious [will benefit],” he said. Kasowitz also hopes to build the model in a larger, 1/35 scale so that viewers will be able to get a truer sense of the Temple’s grandeur. Such a construction would probably be twelve feet long and four to five feet high.